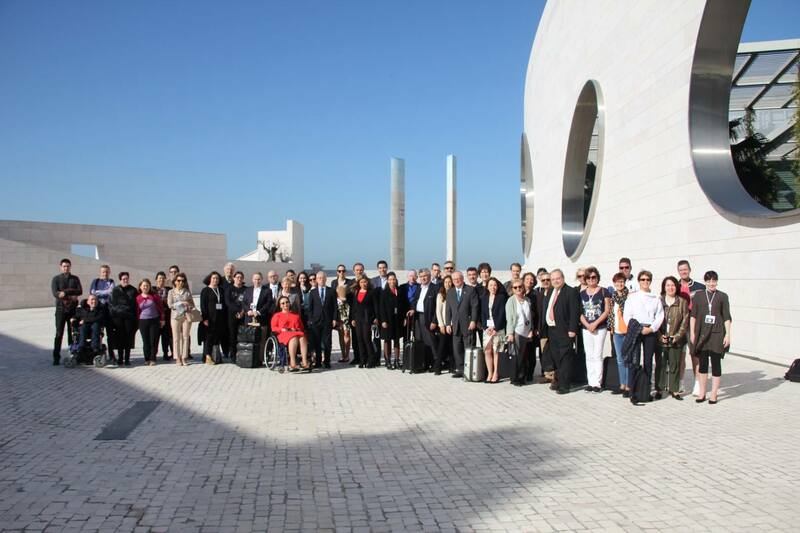 Training Initiatives for Neurology Advocates [TINA] workshop took place at the Champalimaud Foundation in Lisbon 17th and 18th of April 2018. The TINA workshops project was launched in 2016 by the European Federation of Neurological Association [EFNA] and is being continued to teach patients how to use the theoretical knowledge gained on these processes, and the wider research and development cycle, in a more practical way. This time the TINA took place under the theme Value – Patient Preferences and Perspectives and was open to neurology patient advocates from across Europe. Dystonia Europe Board Member – Adam Kalinowski participated in this event to gain knowledge to be a more effective advocate for patients with dystonia.The central focus of this workshop was to explore patient engagement in Health Technology Assessment [HTA] across Europe – with a particular emphasis on the specificities in the field of neurology. Health technology assessment (HTA) refers to the systematic evaluation of properties, effects, and/or impacts of health technology. It is a multidisciplinary process to evaluate the social, economic, organizational and ethical issues of a health intervention or health technology. The main purpose of conducting an assessment is to inform a policy decision making. Considering the definition of health technology, as the application of organized knowledge and skills in the form of medicines, medical devices, vaccines, procedures and systems developed to solve a health problem and improve quality of life. (World Health Organization ). On the first day, Donna Walsh – EFNA Executive Director opened the event by discussing EFNA’s ongoing project on neurology patient engagement in the HTA process. the symptoms are often secondary (eg pain, fatigue) can not be directly measured and the involvement of patients is needed. She asked the upcoming speakers to consider how we can ensure that we value what matters most to patients. The first speaker was Dr Iñaki Gutierrez Ibarluzea (ViceChair HTAi & Knowledge Manager, Osteba, Basque Office for HTA, Ministry for Health, Basque Government) who spoke about value beyond cost effectiveness. He explained the subject by showing very simple examples. This presentation was to help us answer the question: What can we as patient advocates be doing to ensure that we are capturing the value of new treatments/services (from a patient perspective) – and how can this be fed into the decision-making process? After the break Prof. António Vaz Carneiro (Head of the Centre for Evidence Based Medicine & International Consortia for Health Outcomes Measurement [ICHOM], Cochrane Portugal) discussed ‘Developing and Integrating Patient Relevant Outcome Measures’ and presented the project ICHOM – non-profit organization with the purpose to transform health care systems worldwide by measuring and reporting patient outcomes in standardized way. The next speaker explained what are Value Added Medicines. Prof. Mondher Toumi (Professor of Public Health, Aix-Marseille University) began with the definition of Value added medicines: “medicines based on known molecules that address healthcare needs and deliver relevant improvements for patients, healthcare professionals and/or payers”. Then the professor talked about: What innovation is and whether it must cost a lot money? What are the benefits of value added medicine? Why do value added medicines pose a problem for HTA and what can be done? How can patient advocates help bring about changes and push for innovative approaches to ensure value added medicines can be accurately assessed by decision-makers? The first day of the event was ended with a panel discussion with all speakers, including questions from audience. Day Two of the workshop featured a joint session hosted by EFNA with the European Brain Council [EBC]. This was moderated by John Bowis (former British Conservative MP and MEP). Maria do Céu Machado, President, INFARMED – National Authority of Medicines and Health Products After this session, participants took part in a guided tour of the Champalimaud Foundation – private biomedical research foundation, created in 2004 according to the will of the late entrepreneur António de Sommer Champalimaud, where the workshops were held. The workshop finished with a group exercise; mapping next steps for EFNA Training Initiatives for Neurology Advocates (TINA), with feedback on TINA initiatives to date and an assessment of the current training/ capacity building needs of neurology patient groups. This two-day workshop definitely explored patient engagement in Health Technology Assessment across Europe, with a focus on the most Patient Relevant Outcome Measures and how these can be better integrated and reflected in the decisions taken to reimburse new treatments. Certainly the topic of HTA could be very difficult, for many Patients Advocates who often have no academic titles and are “simply patients”. Therefore, we thank EFNA for giving us the opportunity to raise our knowledge through this type of workshops.